Bruce Garrard has been a writer and an activist, involved with the peace movement, the environmental movement and radical community politics, since he was at school in Salisbury in the 1960s. He has produced numerous articles, newsletters, pamphlets and booklets, including two years editing a magazine for CND’s Southern Region. He also spent a year working full time for the Dorset Peace Council (supported by Quaker Peace and Service). In 1984, as a member of The Green Collective, he was part of the group which initiated the occupation of a proposed cruise missile site at Molesworth, Cambridgeshire – an action that created the Rainbow Village and that culminated in the appearance of Michael Heseltine (then Defence Secretary) in his infamous flak jacket. Since 1985 he has lived in Glastonbury, for ten years running his own High Street business and for three years editing the community magazine Free State. He also helped to initiate the community share ownership scheme that secured the community centre at the Glastonbury Assembly Rooms, and subsequently spent ten years on the centre’s Management Committee. Still living in Glastonbury, he spent two years as a director of the Big Green Gathering Company, staging a major ecological event in a festival setting on the Mendip Hills. He is also joint shareholder/director of The Old Clinic Ltd, a company set up to manage a substantial building in the centre of Glastonbury, providing office and workshop space for small local businesses. He has self-published four non-fiction books as well as a local edition of his first novel, ‘Petroc of Glastonbury’. All of these have been well-received and – a mark of success for such publications – have more than covered their printing costs. In 2016 he received the Tim Sebastian Memorial Award for his contribution to the local community through the written word. Having reached retirement age he is now able to devote himself full-time to his writing. Address: 63 Chilkwell Street, Glastonbury, Somerset BA6 8DD. Male, divorced, two grown children. Educated at Bishop Wordsworth's School, Salisbury, Wilts. Spent year between school and university travelling and visiting early music festivals, including Isle of Wight and Glastonbury Fair at Pilton, near Glastonbury. University of Essex, Colchester, Essex. Learnt Portuguese, preliminary to taking Latin American Studies. Dropped out of University. Moved to Glastonbury, Somerset. Worked 3 months at Imco plastics factory. Moved to south west Ireland, hoping to establish self-sufficient organic smallholding. Returned to England. Took job as office assistant and storekeeper on civil engineering site, Salisbury. Promoted to Assistant Quantity Surveyor, with Southern Counties Construction Company. Began training for professional qualifications (IQS). Wore suit, drove company car, put on weight. Returned to alternative lifestyle. Spent 3 months travelling and writing. Took job as gardener at Sandroyd Preparatory School, Tollard Royal (Wiltshire/Dorset border). Worked as self-employed gardener around villages in north Dorset and south Wiltshire. Joined CND. Founded and edited Southern Region CND magazine, 'The Radiator'. Jointly with Loppy Garrard, worked as Peace Worker for Dorset Peace Council (comprising local CND groups etc, supported by Quaker Peace & Service). Duties included liaison between groups; organising meetings, conferences, and demonstrations; research and press work; and some public speaking. Site co-ordinator for the Green Movement's first 'Green Field' at Glastonbury CND festival, Pilton. Spent 6 months with the Rainbow Village, occupying Ministry of Defence property at proposed cruise missile base, Molesworth, Cambridgeshire. Member of CND National Council as representative for Green CND. Six months travelling. Joined Enterprise Allowance Scheme, producing site news sheets, newsletters, broadsheets etc - used duplicating machine, working from the back of a van or a bender. Returned to Glastonbury, Somerset. Took small shop/office in Northload Street, Glastonbury, as 'Unique Publications'. Published series of booklets concerning the aborted Stonehenge festival and other issues relating to travellers. Moved to High Street, Glastonbury. Developed business with photocopying service, design and layout work (later Desk Top Publishing); retailing 'alternative' magazines, recycled paper and stationery. Took on several part-time employees (mostly self-employed artists, actors and musicians). Continued to publish community newspapers and magazines, poetry booklets etc, and numerous programmes for local plays and pantomimes. Founder member of 'The Assembly Rooms of Glastonbury Ltd' (IPS). Helped establish community ownership scheme for the Glastonbury Assembly Rooms. Chairman of Management Committee following successful purchase of the building in September 1991. 'Unique Publications' now an established landmark on Glastonbury High Street. Glastonbury Assembly Rooms successfully running as co-operatively owned community centre. Moved from the High Street to office premises in St John's Square, becoming joint shareholder/director of 'The Old Clinic Ltd'. Led fundraising drive to pay for sound proofing and structural repairs to the Assembly Rooms: work carried out May/June 1998 at a cost of £65,000. Joined steering group for the proposed 'Glastonbury Development Trust', which failed following changes to Town Council at May 1999 local elections. Edited and published local quarterly magazine 'Free State'. The Speaking Tree (bookshop/wholesale book distributor): book-keeping and VAT accounts. The Glastonbury Green Man Gathering (annual men's camp/workshop event): provision of office facilities, member of core organising group. Mark Orme Architects: Invoicing and VAT accounts. 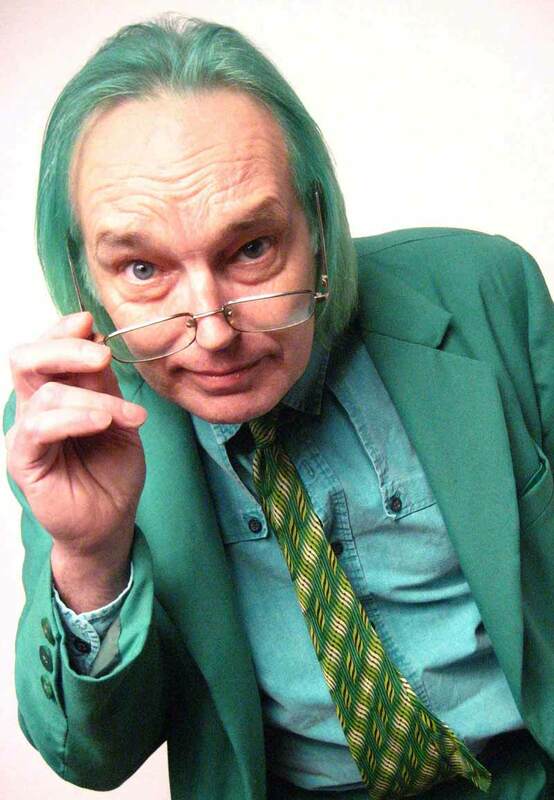 David Taylor (Green Party's lead candidate in South West region for 2004 European elections): Political Assistant. Director of The Big Green Gathering Company: Company Secretary (2005) and Finance Director (2006). Continued as self-employed office worker: book keeping, photocopying etc. The Old Clinic Ltd: Project Management for major refurbishment project. Second full-length book, 'Rainbow Fields is Home.' Finally published 29 years after the occupation of Molesworth proposed cruise missile site in 1984/85. Published 'Free State', the history of Glastonbury's alternative community, June 2014. Re-printed with revisions, December 2014. Began River Brue project, exploring and researching the local river. Published 'The River - an exploration of the Brue and the Axe in Somerset', October 2015. Received the Tim Sebastian Memorial Award for contributions to the local community using the written word. Began giving talks to local organisations on the subject of the River Brue and its history. Published 'Petroc of Glastonbury', a novel arising out of the River project, June 2017. With retirement age approaching closed office at The Old Clinic and began working from home, August 2017. Continued as director and administrator of The Old Clinic Ltd. Published a revised edition of 'The River', February 2018. Gave talks to the Glastonbury Antiquarian Society and the Wells Natural History and Archaeological Society. Continued the River Brue project with 'Conversations with the River Spirit' (publication date January 2019). Co-counselling, cricket, education of autistic children (volunteer in 'Sonrise' programme 2001/03), the men's movement, community drama, gardening, community and environmental activism, 5 Rhythms dance, Sufi meditation.